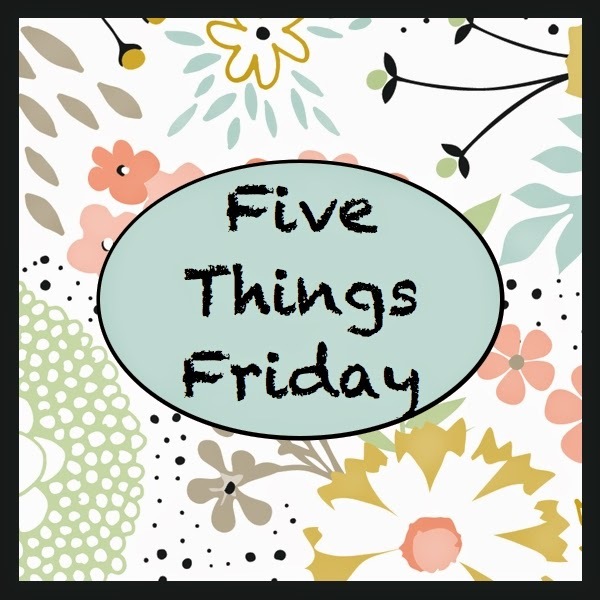 It's time once again for Five Things Friday! I haven't had one for awhile but love to use Fridays to catch you up on a lot of little things! While I was visiting my darling daughter a couple weeks ago, I fell (missed one of the steps off the porch) and twisted my ankle. Thankfully, I didn't break anything but it has really been bruised and swollen. Finally, the swelling is going down so I may be able to get a real shoe on soon. That will be a day to celebrate! It will soon be too cold to wear flip flops but right now the only shoes that fit are my flip flops, slippers and red Mickey Mouse Crocs. About a month ago I started playing Words with Friends for the first time ever! I have so much fun!!! Some of the random people (so far I am not playing with anyone I know) are willing to chat with me:) One person helps me by telling me where some letters would have made more points and another has a super extensive vocabulary; the dictionary is helpful! Do you or have you played Words with Friends? What was your highest scoring word? We are scheduled for the Mount Hood Railroad Polar Express train ride on May 7! I am so excited! We did the Parkdale Excursion Train in September and it was amazing! The train meandered through the countryside from Hood River to Parkdale, OR. The really interesting thing about the trip was that Oregon Public Broadcasting was on the trail filming for an upcoming presentation on rural trains in America. My adorable nine year old granddaughter was recently elected to the Associated Student Body (ASB) at her school. She decided to run for Secretary and she got it! Now, I don't need to tell you she was the only one running but I feel confident she would have been elected anyway:) She had to write a speech and give it over the intercom at school! Oh my! Am I a proud Gramma or what?!!! Well, that's it for this Five Things Friday! I will be back again on Sunday for the Sunday Night Chit-Chat. If Carla is too busy, I will make up my own:) Have a great day and a wonderful weekend! ***Don't forget to leave a comment on Wednesday's post HERE for a chance to win a set of 4 Fall cards handmade by Moi! Drawing is at noon on Sunday! We passed the point of too cold for sandals about a month ago here.